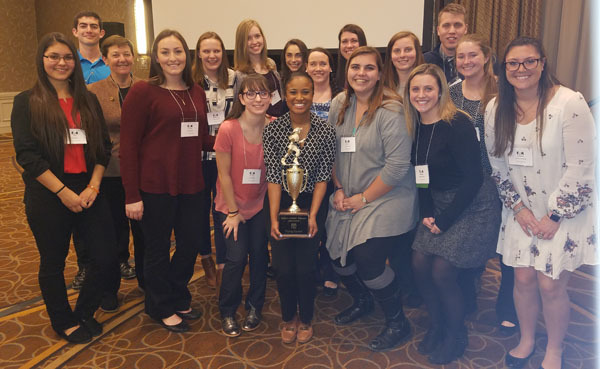 The Plymouth State Athletic Training program came up winners during the 2018 Eastern Athletic Trainers’ Association Conference student competitions held on Friday January 5, 2018. 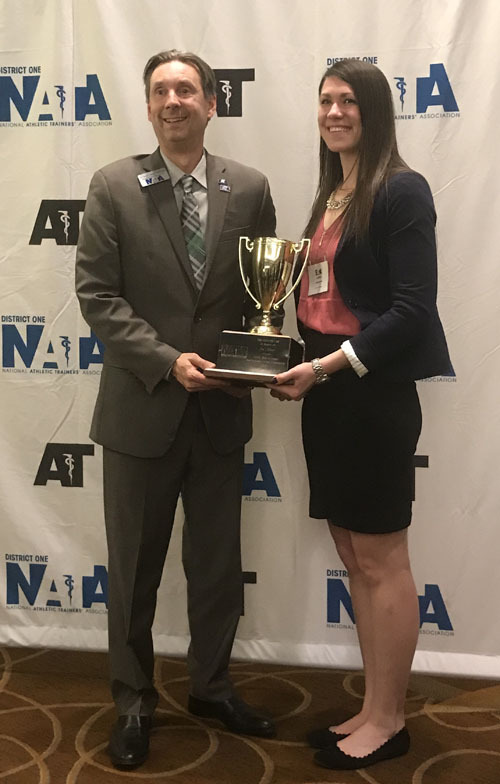 PSU AT students Moenique Parris, Allison Purdue and their model Hayley Quirk led off the night taking home the title for the 2018 EATA Student taping competition. Lauren Burke closed out a banner evening by taking first place in the District 1 portion of the quiz bowl. Lauren will lead a three member team to represent District 1 at the national Quiz Bowl held at the NATA Clinical Symposium in New Orleans Louisiana.